The PSLV lit its solid-fueled core stage as the countdown clock reached zero at the Satish Dhawan Space Center on India’s east coast. 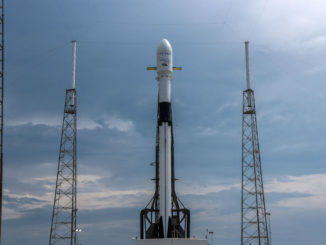 The first stage motor pushed the 144-foot-tall (44.4-meter) rocket, which flew in its least powerful variant with no strap-on boosters, away fro the Indian spaceport on the Bay of Bengal at 1638 GMT (12:38 p.m. EDT). Liftoff occurred at 10:08 p.m. local time in India, and the PSLV fired into a low cloud deck less than 30 seconds into the flight, disappearing from the view ground-based observers. The PSLV’s first stage motor burned out less than two minutes after liftoff, dropping away as a hydrazine-fueled Vikas second stage engine ignited for a two-and-a-half minute burn. A solid-fueled third stage and a liquid-fueled fourth stage later fired in succession to inject the mission’s two Earth-observing payloads into an orbit roughly 363 miles (585 kilometers) above Earth, very close to the flight’s target, Indian officials said. An on-board camera view showed the two satellites, which flew side-by-side atop the rocket on a specially-designed payload adapter, separating from the PSLV’s fourth stage, and officials declared the mission a success. 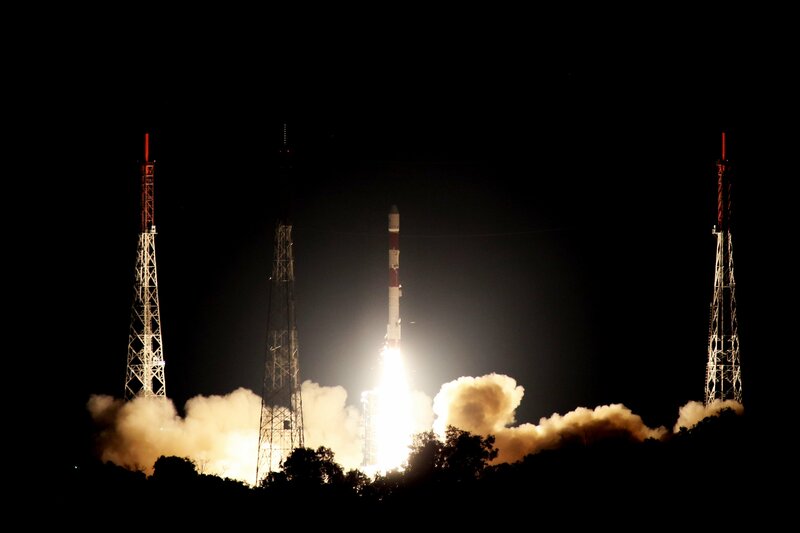 “Today’s success, once again, really proved the promise of PSLV as a user-friendly vehicle in all aspects,” said K. Sivan, chairman of the Indian Space Research Organization. One of the satellites, named NovaSAR 1, is the product of a public-private partnership between the British government, UK satellite-builder Surrey Satellite Technology Ltd., and Airbus Defense and Space, which supplied the mission’s radar imaging payload from its facility in Portsmouth, England. 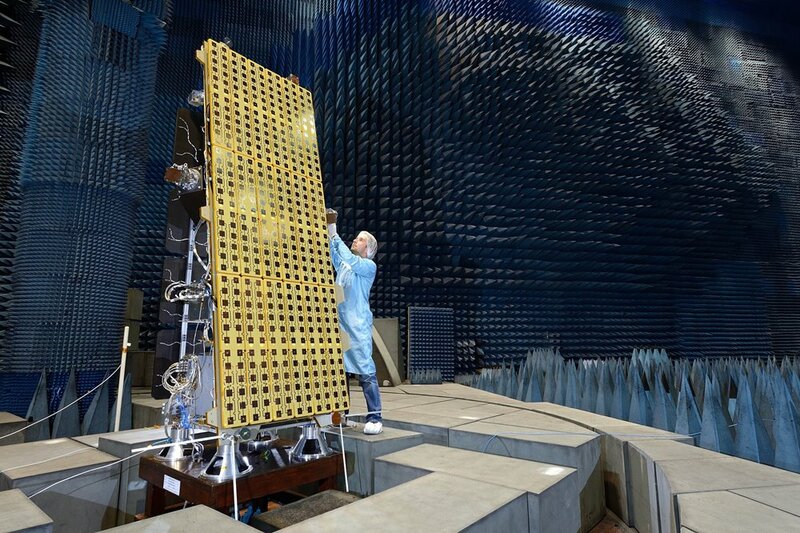 NovaSAR 1’s S-band synthetic aperture radar, supported by solid-state power amplifiers, is the centerpiece of the tech demo mission, which aims to validate a radar imager lighter and more compact than those flown on most previous radar reconnaissance satellites. Radar imagers in space can see through clouds, and are sensitive even in darkness, providing an all-weather, day-and-night surveillance capability. Wave emitted by the instrument will bounce off Earth and return to a receiver on-board the satellite, carrying information about the appearance of the surface. SSTL views NovaSAR as a pathfinder for future lightweight radar imaging satellites that can be developed at lower cost than similar missions in the past. 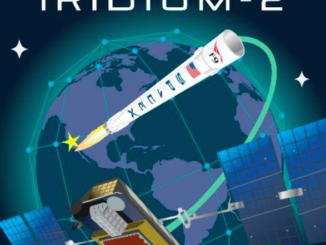 The trend toward miniaturization in space technology has allowed engineers to fit a radar instrument into a smaller package, meaning the imager can fly on a cheaper satellite and rocket. The British government provided $27 million (£21 million) to partially fund development of the NovaSAR 1 mission, and will be a primary user of the satellite’s imagery to ensure the UK’s independent space-based reconnaissance capability. The Australian and Indian governments also have agreements to access NovaSAR 1 images. NovaSAR 1 is the first synthetic aperture radar satellite entirely built in Britain, and it’s the first commercial radar mission to fly in an orbit that crosses the equator at 10:30 a.m., and again in the other direction around 12 hours later, allowing the spacecraft to return day and night imagery. Many radar reconnaissance satellites are in polar orbits that fly north-south over the planet near the boundary between day and night, a so-called “dawn-dusk” orbit. NovaSAR 1 carries a radio beacon receiver supplied by Honeywell Aerospace to help identify ships observed by the satellite’s radar. The satellite will also assist in monitoring floods, crops and oil spills. The SSTL S1-4 observation satellite, fitted with an optical camera and telescope, accompanied NovaSAR 1 into orbit atop the Indian PSLV. 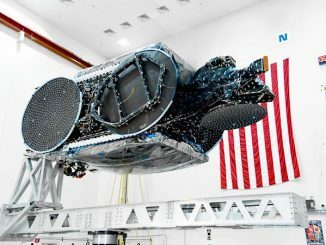 It was also built in Guildford, England, by SSTL, which will supply high-resolution imagery from the new satellite to 21AT, a company founded in China and now based in Singapore. 21AT currently uses images from a constellation of three DMC3 Earth-observing satellites launched in 2015. The new spacecraft launched Sunday is identical to the previous three, according to SSTL. Both satellites are no bigger than a sports car, and each weighed less than 1,000 pounds (450 kilograms) at launch. The spacecraft also are each designed for seven-year missions, and both satellites contacted ground controllers later Sunday, confirming their health after arriving in space. The PSLV mission Sunday was designated PSLV-C42, and it was the 44th flight of a Polar Satellite Launch Vehicle, and the fourth Indian launch of this year. 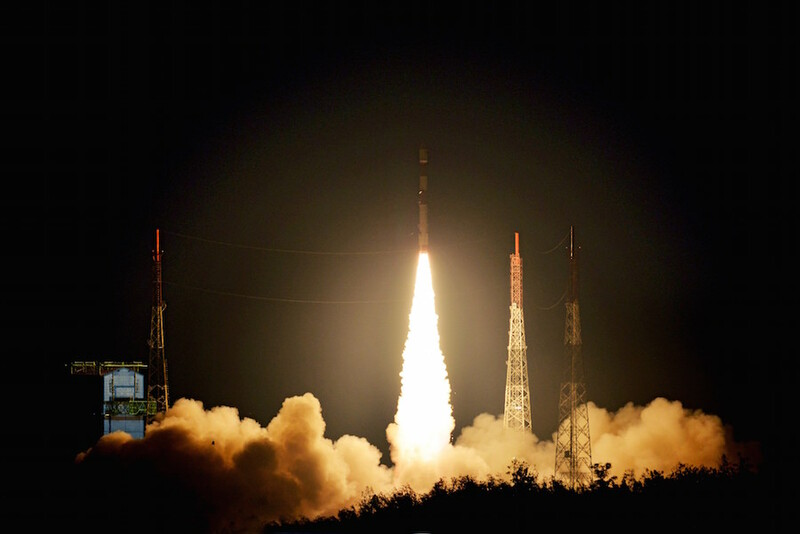 SSTL booked the launch with Antrix, the commercial arm of ISRO. “Congratulations on a truly amazing launch with an absolutely precise injection,” said Martin Sweeting, executive chairman of SSTL. 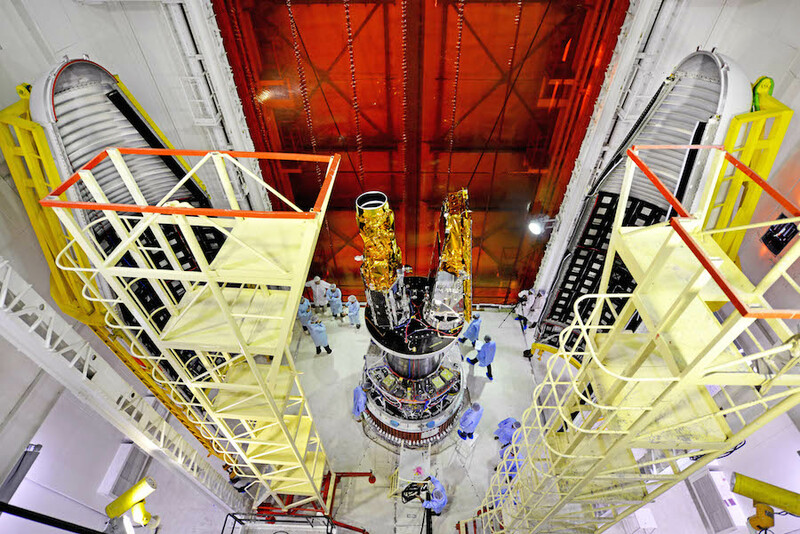 “This again highlights the technical excellence of the PSLV launch vehicle.